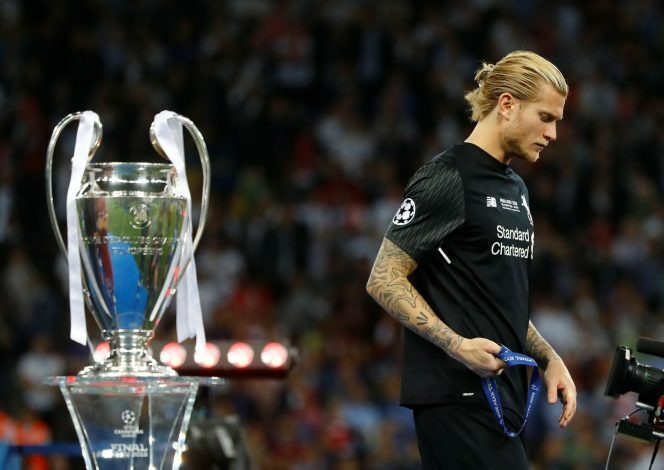 The horrid mistakes of German goalkeeper Loris Karius cost Liverpool the UEFA Champions League title. While the splendid bicycle kick of Gareth Bale can be a mistake forgiven, the fumbling of Benzema opener and Bale’s second goal are certainly hard to let go. Fans have been trolling and criticizing the German for his mistakes, some even going to the extreme ends with alleged, and already his future at Liverpool has come under some question. But it is interesting to see what the players, the actual people who week in and week out play the great game, have to say about the follies of the 24-year-old. Liverpool captain Jordan Henderson had this to say: “The first goal I am not sure what happened, whether Karim Benzema stopped it with his hand, and then the overhead kick he could do nothing about. Mario Balotelli’s support came in an interesting way, as the Italian striker commented, “bro stay strong” on an Instagram post by the keeper while also replying to flirty comments of support from former adult actress Mia Khalifa on the same post. In an interesting turn of events, ex-Liverpool player Jermaine Pennant was critical of the player’s antics. However, Eric Bailly, a Manchester United player and a staid rival of Liverpool supporter the keeper instead. Another former Liverpool player was less critical of the youngster. Teams were sympathetic as well. In fact, after the full-time whistle, Bale himself walked to a clearly distraught Karius and consoled him about how things turned about in a classy gesture of sportsmanship. Nacho was another Real Madrid player who took the initiative, even prior to any of Karius’ own teammates did so. On social media, however, these teammates were in full-fledged support, particularly Sadio Mané, Dejan Lovren, and Liverpool loanee Divock Origi as well as former Red Lucas Leiva. Likewise, Jamie Carragher was also seen visibly walking towards Karius and consoling him after the full-time whistle in Kiev. The traveling crowd also seemed sympathetic to the keeper, who apologized to them with tears streaming down his face. Hopefully, the mistakes will be left behind and he carries on as a better player for the future. All in all, mistakes are a part and parcel of the game, and it is heartwarming to see most of these individuals coming out and standing with Karius in his time difficulty. Perhaps he’ll never walk alone after all.